Although often considered a healthy addition to the diet, the side effects of soy products are of increasing concern to many researchers. Soy contains a large amount of what nutritionists call anti-nutrients. This is just a fancy name for toxins. There are several natural substances that are found in soy that are actually toxic to various systems in the body. In research that was carried out on various lab animals these anti-nutrients were found to cause unusual symptoms in the pancreas, including enlargement and cancer. The substance that inhibits the action of Trypsin in the body is also a growth inhibitor. 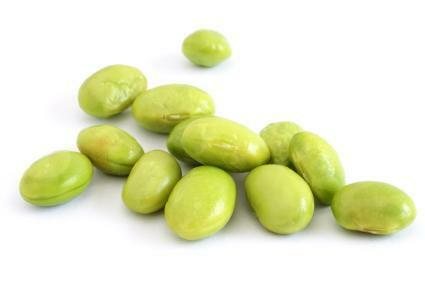 Ingesting large amounts of soy, especially in a non-fermented form such as edamame, can cause abnormal and stunted growth patterns in children. The fermented forms such as tofu seem to have less of an impact on the body. As the number of infants fed soy based formula has increased since it became popular in the early 1970s so have the instances of learning disabilities, and attention disorders. Girls are entering puberty earlier than in the past, some as early as eight or nine. While there are conflicting statements about soy products it seems clear that moderation is a good idea. Always check with your health care provider before you add soy or soy isoflavones to your diet. Monitor yourself for changes in the way that you feel, and if you have any of the symptoms above you should discontinue the soy immediately.It may be a good idea to use other forms of protein in your child's diet in most cases, until more is known about the effects of soy on a child's developing system. If you choose to continue using soy products be sure to stay abreast of the newest research and information available to you.